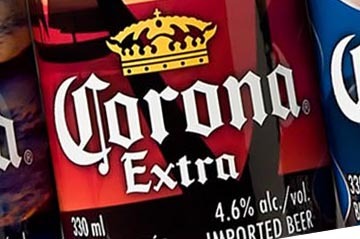 Shikatani Lacroix has a longstanding relationship with Tetley Canada, having worked with the brand for 25 years on a variety of projects. 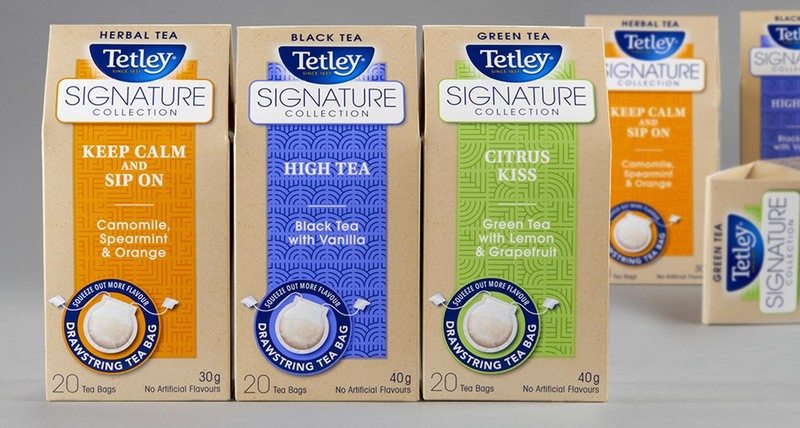 To date, Shikatani Lacroix has designed packaging for Tetley Canada, which includes close to 80 unique designs in over 10 categories of tea including green tea, red tea, herbal tea and flavored black tea. Most recently, Shikatani Lacroix was asked to create the package design for the four categories within the Tetley Signature Collection. 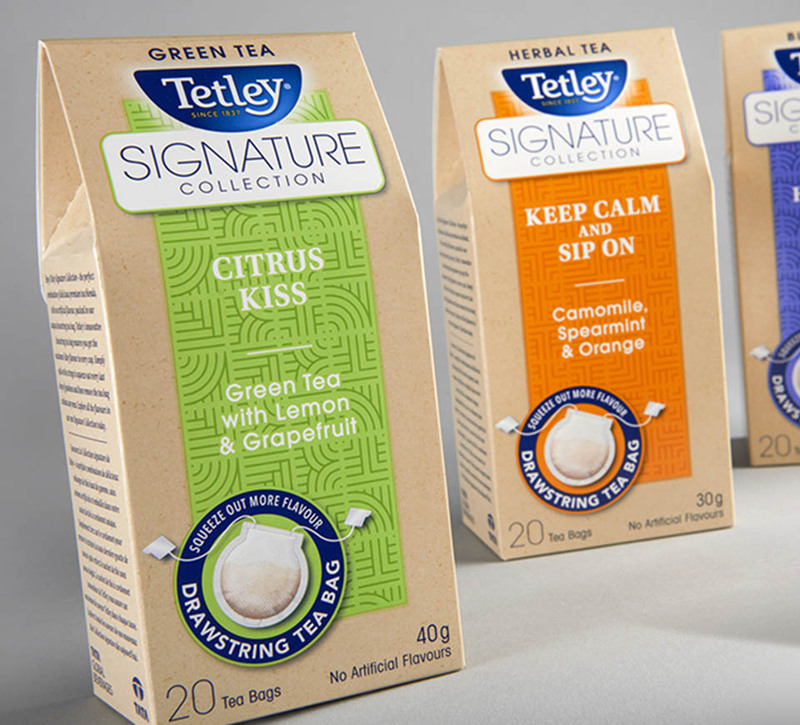 The design work produced became an integral part of Tetley’s premium branding line by providing a distinctive look that continues to encourage Canadian consumers to purchase Tetley products. Tetley, a wholly owned subsidiary of Tata Global Beverages, is the world’s second largest manufacturer and distributor of tea. 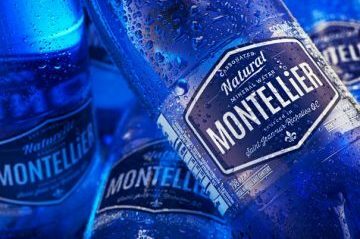 With its origins dating back to 1837, this English beverage manufacturer is the largest tea company across the United Kingdom and Canada, and the second largest in the United States. Tetley distributes its branded tea bags to over 40 countries and has more than 85 different brands of tea. 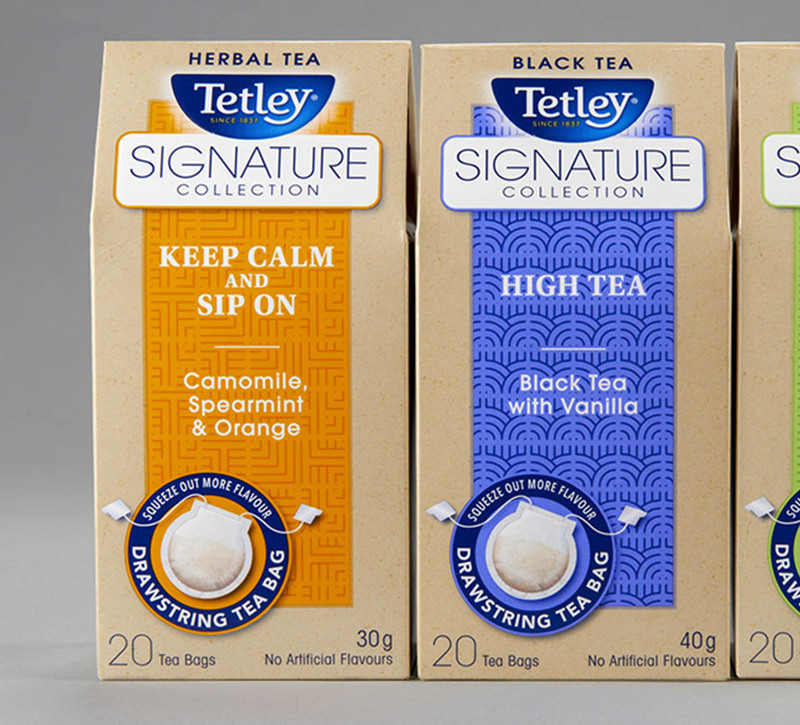 Over the years, Tetley has expanded on its black tea origins to offer fruit and herbal infusions, green teas and specialty teas in addition to its classic blend, which includes the premium brand Tetley Signature Collection in Canada. This premium tea is unique as the teabags include an innovative drawstring tea bag that allows for more flavour to be enjoyed and less mess to clean up. 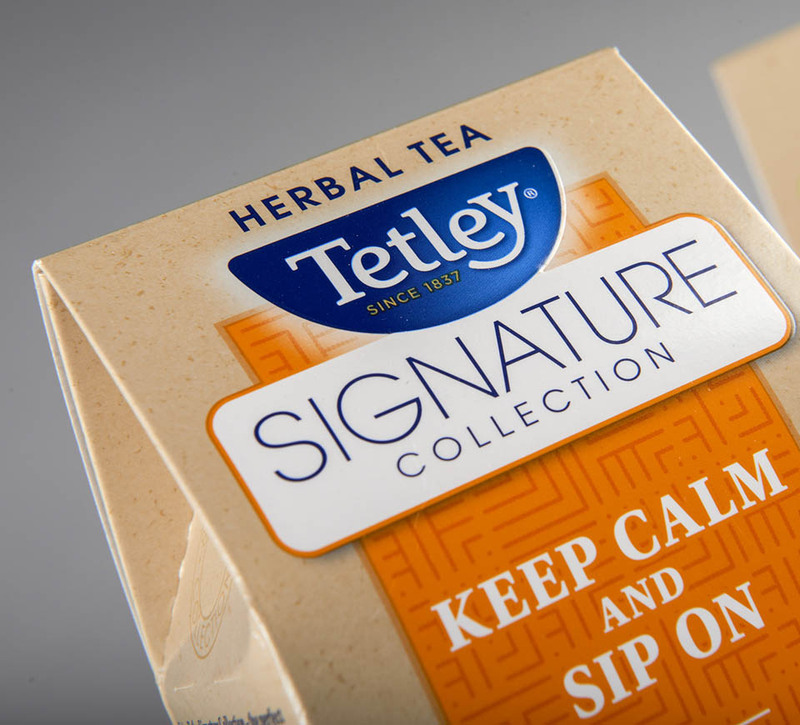 In order to stand out at shelf and excite customers, Tetley understood it needed packaging design that expressed the brand’s enhanced product design and premium ingredients. In 2015, Tetley embarked on a mission to roll out a new global logo to further propel its brand recognition and unite the appearance of Tetley’s packaging found in different countries. 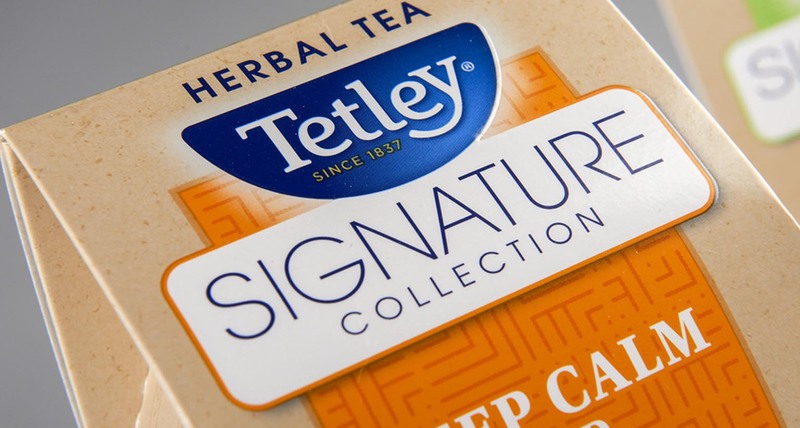 Shikatani Lacroix had to incorporate this new logo onto the design work of the Tetley Signature Collection packaging. 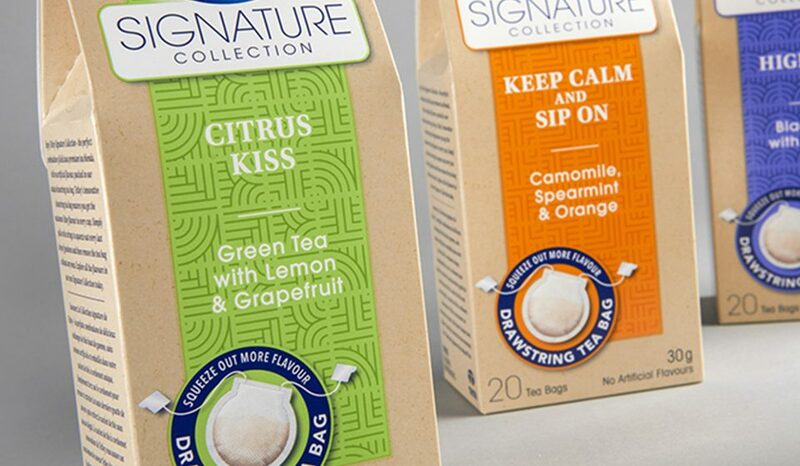 Ultimately, Tetley Canada entrusted Shikatani Lacroix to create the design and brand packaging by drawing inspiration from the premium features of the new teabag flavors. 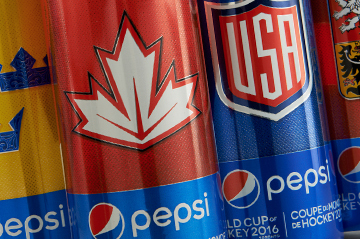 The new global logo is in the process of being implemented across the entire line of 85-plus SKUs in Canada. 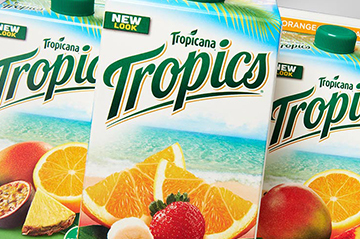 Shikatani Lacroix designed a unified look that still differentiated the four color-coded flavors by highlighting the ingredients and creative names of the teabags, while maintaining visual brand uniformity. The packaging included brewing instructions and other elements such as the application of the new teabag. Shikatani Lacroix had to work with the gable-top shape which was to be used on Tetley shelf displays to provide effective visual enticement in order to showcase the four new flavours under the Tetley Signature Collection. The distinctive package structure also distinguished the new product line from competing brands, while the package design appealed to new and current Tetley drinkers who recognized the trusted brand name. 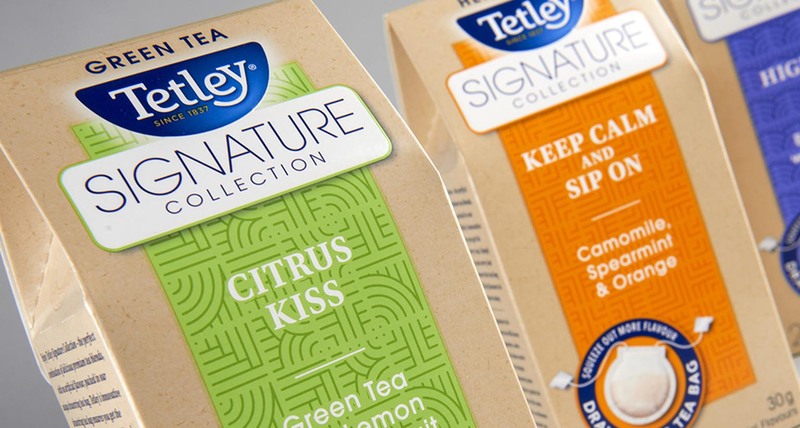 The coded color scheme paired with the new box shape allowed Tetley to stand out on shelves and assist its customers in finding a new appreciation for the Tetley brand by enticing them to try its new premium products. The graphics are a key purchase driver. 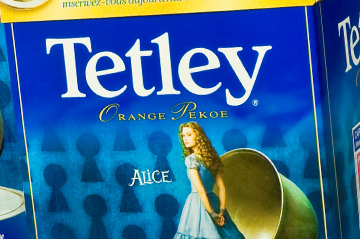 Tetley consumer research revealed the package graphics, tea names, and ingredients/flavors are the top three package elements influencing the consumer’s purchase decision. 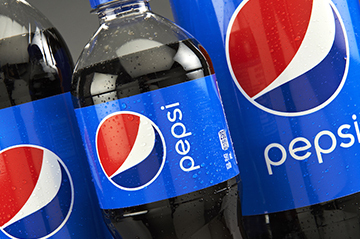 Shikatani Lacroix looks forward to continuing its design partnership with Tetley as its brand initiatives continue to brew.